The real reason why “compensated” gun turn-ins don’t work. This entry was posted in rkba, self-defense, weapon and tagged AllOutdoor, economics, politics. Bookmark the permalink. Buy back the lives of the hundreds of millions of disarmed citizens who were murdered by their own governments, and then maybe we can talk about another “buy-back”. While we’re at it, maybe we can discuss a “pay-back” program aimed at all the authoritarians and their ilk who strive daily to deny basic human rights and eat out the substance of honest citizens through taxation and false authority? How would that be? Can I “buy back” the productivity that I’ve lost to government hubris, corruption and graft over my lifetime? How would that work? How will my children acquire their inheritance from me, when government has spent it all and more? Who will buy THAT back, and at what price? The month AFTER the US Government sells me 10 registered, legal and functional full-auto M-60 machine guns for $100 each, THEN we can talk about me considering their buying BACK maybe 2 of them- for at least $1000 each. Otherwise, no thanks. I’ve had the opportunity to examine the full take from three local gun buy programs over the years. One 400 guns at $200 each, and two 500 guns at$100 + a gift card each. 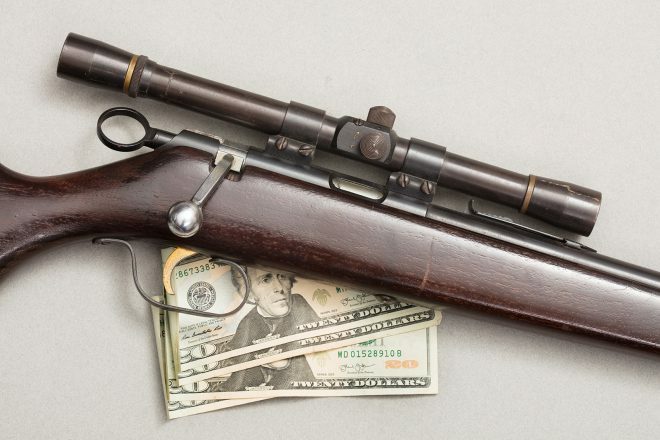 Each lot had a few decent, valuable guns that probably came out of dresser drawers or attics. The rest were absolute junk. I would say that as a commercial proposition, looking at the lots as a whole, it was not a profitable transaction. Five $500 guns and 395 $50 guns.